Gurukul Sports Academy in Whitefield is the ultimate destination for all your sports needs. They have billiards, table tennis, swimming, badminton, go-karting, football and cricket, all under one roof making it a sporty one-stop-shop! Gurukul Sports Academy is quite popular for its spectacular badminton court facilities. With 15 standard wooden badminton courts, apparently they have the most number of courts in Karnataka. The courts are rented out on an hourly basis so all you have to do is book yourself a spot and your baddie needs will be taken care of! However, badminton is not all they have. They have a large selection of indoor and outdoor sports for you to pick from. Gurukul’s indoor pool is a blessing in disguise because it can save you from the heat of the summer as well as indoor table tennis and billiards along with the indoor badminton courts. So, get away from the heat and indulge in these fun recreation activities. If you’re a more of a cricket and football person, then they have that too. 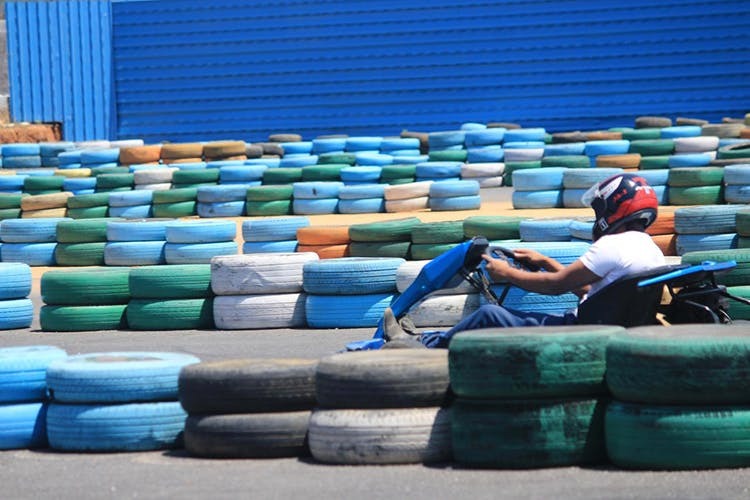 For the adrenaline junkies, they also have go-karting! Gurukul is equipped with martial arts classes for all the badasses out there. But the best part about this sports academy is the fact that are open till midnight, which means you can play at your own time and convenience. So book your spot right away! And did we mention that the academy offers professional coaching for badminton and swimming as well? Admissions for their summer and annual cricket camp are also open now! If you’re booking your own spot to play with friends then we would say bring your own sports gear as they may not provide it.